Airport Transfer Specialist, Private Hire Taxis, Wedding Cars & Executive Transport in Scotland. We offer convenient, reliable and luxurious transport in Perth and the surrounding area. 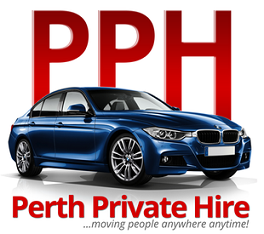 Perth Private Hire has a modern fleet of saloon and executive taxis in Perth. We can also supply wheelchair access vehicles and 8 seater minibuses for larger groups. All are guaranteed to be safe, clean and punctual. If you need a taxi right away, call us on 01738 59 2468 now: we’re at your service 24 hours a day, 7 days a week. We’re your one-stop transport service, making getting around easy, whether for a single journey or an elaborate event. For more information on our range of transport services, fleet of modern vehicles and team of qualified drivers, have a look around our website.